Though it's commonly used by Spokane-area patients battling opioid addiction, marijuana may not actually help with symptoms of depression and anxiety during treatment, new research from Washington State University suggests. 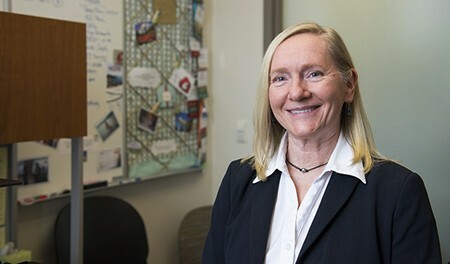 "It appears as if it's not working the way [patients] think," says Marian Wilson, assistant professor with WSU's College of Nursing. The research was published in the journal Addictive Behaviors. It offers insight into how and why people battling opioid addiction in the region use cannabis, and whether or not it works. Wilson surveyed 150 patients at two different clinics in the Spokane area that provide medication-assisted treatment, which uses drugs like methadone and Suboxone to treat opioid addiction. About two-thirds of the patients in the survey had used marijuana in the past month — some for recreational purposes, but some to self-medicate for help with pain, sleep, depression and anxiety that are all commonly experienced during opioid addiction treatment. The survey asked patients to give measures of pain, depression, anxiety, self-efficacy and cannabis use. Wilson found that those who used cannabis had a stronger relationship between pain and mood. In other words, if they were in pain, they were more likely having a bad day if they reported themselves as cannabis users. Additionally, those who used cannabis had less confidence in managing their emotions. "It would suggest that they're not using cannabis appropriately to treat the mood, and perhaps using it as a Band-Aid or as a fix-all," Wilson says. "It doesn't look like it was helping with those symptoms." Wilson stresses that more research needs to be done on the topic, noting that this was a self-report survey study, not a randomized controlled trial. And the research doesn't speak to other ways marijuana can be used along with opioid treatment. For instance, opioid death rates in states with legalized medical marijuana, other studies have shown, are 25 percent lower. "We don't want to just say cannabis is great, use that instead," Wilson says. "Because it comes with its own set of problems. We know smoking is never good, no matter what type. We need to be cautious and learn more about treatment effects." It suggests patients may want to re-evaluate whether using marijuana to treat symptoms of pain, depression or anxiety is helping or hurting. There may be a place for marijuana in addiction treatment symptoms, she says, but more research needs to be done to find out what it may be. "They need targeted therapy for the symptoms they're experiencing," Wilson says.